If you’ve read some of my blogs based around SEO that was written early in my Track5Media career, you’d see that I was just dipping my toes into the SEO waters. I’ve covered everything from link building tactics to SEO audits. However, now that I’m almost two years into my SEO role, I feel like I FINALLY have a grasp on two of the most important aspects of the industry – Onsite and Offsite SEO. Onsite VS Offsite SEO is something that not all companies think about. In many cases, they’ll focus on one aspect, but not the other. However, if you’re able to execute both, you’ll see your brand grow in popularity as you climb the ranks on the SERPS. Below we’ll take a look at Onsite VS Offsite SEO and how you can optimize both to grow your online presence. Onsite SEO is done by adjusting certain components of the site so that the intent of your content can be clearly understood by search engines. Using various SEO tactics, you’ll be average to leverage your site to ensure that you’re ranking high on the SERP (Search Engine Results Page) when they search for specific keywords. SEO is a major component of any digital marketing campaign, but it’s still something that not every company pays attention to. We’ll break it down into two separate categories and go over Onsite VS Offsite SEO. Title Tags and Descriptions – You want to include the keyword in both the title tag and description because that will be the first thing that Google crawls. Try to fit in the keywords at the beginning of both. H1 and H2s – When crawling your site, search engine bots look at your headers as a shortcut for understanding the content. Your H1 should be larger and stand out from the rest of the text. It should also contain the keyword you’re trying to rank for because H1s are one of the first elements of your site that are crawled. Content – We’ve written plenty of blogs about it, but the fact remains that content is key. When it comes to onsite SEO, writing keyword-rich, informative content is what with separate you from your competitors. Internal pages are often the first destination a visitor to the website will land on from the search engines, links from other sites or PPC campaigns. The goal is to provide high quality, useful, and easily digestible information that will meet the needs of the reader such as an answer to a question, a product they desire, or a service they need. When it comes to onsite VS offsite SEO, offsite SEO is very different. Instead of optimizing your own pages, you’ll be interacting with other websites to grow the authority of your website. 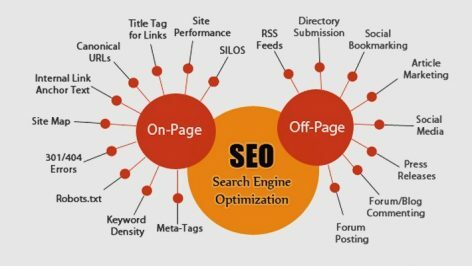 Offsite SEO is the concept of having other sites link back to yours, indicating that you are an authority in your industry. 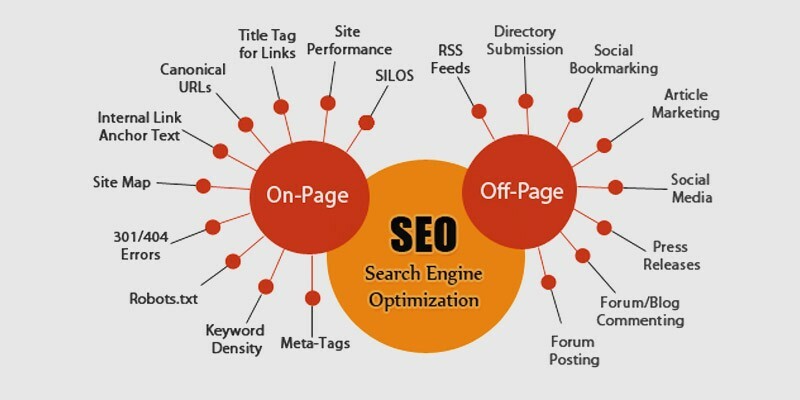 The Google search engine algorithm places a decent amount of weight on authority for a site. This can come from the site having been around and active for a long period or time, or from outside engagement. In the onsite VS offsite SEO realm, having an authoritative site will ensure that your brand gets the exposure it needs to be successful. Below are a few offsite SEO techniques that you should take advantage of. Link Building – I like to think of this tactic as my specialty. Just in the last year, I’ve built over 100 links for our brands. So what? Well, links provide “link juice” that goes to your site and tells Google that you have an authoritative voice when it comes to the subject you’re covering. These links not only drive your site up the search rankings, but they also will cause an increase in traffic and in many cases, conversions. It’s also important that you’re getting links from “good” sites. When links are coming from trusted, relevant sources and are backed by high-quality content; the results are positive. Influencer Outreach and Social Media – This tactic won’t get links directly, but outreach to influencers via email and social media will create buzz around your site. This will then increase the chances that you get links to your site. This is a great way to indirectly create more links to your brand. Content, Content, Content – Not only does content help with onsite SEO, but it always helps with offsite as well. Creating great content to pitch to potential link partners. Nobody wants to link to thin content, which is why it’s important to write content that’s both unique and thorough. When discussing onsite VS offsite SEO it’s important to know that both types of initiatives play a vital role in the success of your website. If you have any other SEO tips to share, feel free to drop them in the comments below!